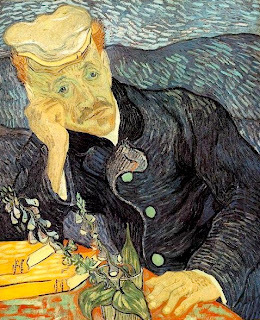 Van Gogh and I have something in common; the thing we love is the thing that injures us. For Van Gogh, he is reported to have used, and nibbled on, his lead paints. For me, I use, and nibble on, sugar, or probably more specifically, chocolate. Unfortunately for Vincent, his paints - which he used in liberal big globs, seem to have been the cause of many of his physical problems (we assume) that lead to his hallucinations, insomnia, and many other physical ailments too gross to list here. But he loved to paint, relished and enjoyed it. His brother tried to warn him, "if you know that it is dangerous for you to have colours near you, why don't you clear them away for a time, and make drawings?" In other words, "give it up!" I have been dealt a similar blow. Chocolate, in liberal big blob amounts (or cacao concentration) is sending my blood sugar off the charts (well, off the Dr.s charts - I think they're being waaaaay too picky about the numbers! ), and raising alarm. So I have been slapped with a diagnosis of "gestational diabetes," and they are taking away my medium of happiness with a simple, "just give it up!" And at the worst time possible. It's easter candy time! I love the cartoon from Sandra Boynton of the turkey taking a survey about chocolate, asking a hippo, "Do you like chocolate?" "'Like,' as in, 'Do I like to breathe?'" responds the hippo. Yes, that is my feeling exactly. I like chocolate, as in "I like to breathe." I use it to enhance my world, much like Van Gogh used his paints to enhance his "snowy linen land." I have studied the science of chocolate and can tell you the cheap from the expensive, with Palmer on the lower, waxy end, and valhrona on the upper upper silky smooth, don't-even-TRY-to-make-me- resist end. This is the one time of the year that I love to indulge in that strangely satisfying concoction in Cadbury's mini eggs. Crunch, chocolate, chocolate. Yum, roll it around in your mouth and repeat. Usually about 1/4 of the bag at a time, while contemplating a good hiding place from . . . well, everyone in the house. They just don't appreciate them like I do! They SAY they do, but then they just snarf them down. But, for my health, and the health of this baby, I will be pricking my finger five times a day, watching "carbs", and saying "no" to my favorite substance for a while. I think an insane asylum might have been more fun. Don't feel bad - I'm a chocoholic too. You should find my latest blog entry amusing! 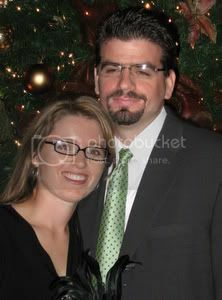 Amazingly enough, GB is one of the few pregnancy/postpartum complications that God didn't shower upon me. I'm so sorry. IMHO, it's not the big baby, poking yourself upteen times a day, or even drinking the glucola that stinks aboug having GB.....it's figuring out and following the stupid diet! Who knew that fruit loops would be better for you than Grapenuts???? Go figure! Hang in there girl! You're on the downhill slide! Yeah, um, my yet to be born kiddo is getting plenty of junk!!! 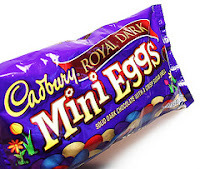 I have my secret stash of cadbury mini eggs and Robbin eggs - my favorite!!! BTW - It all loaded properly now - the pink background worked on my end this time!